It’s already May! 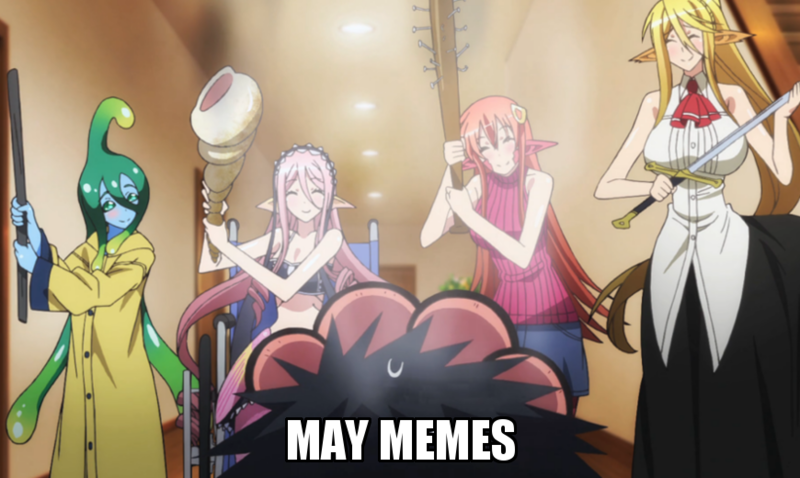 While we don’t have a title to contribute to the general May-memes that abound this time of year (we tried playing with Monster Musu-may, but nothing worked out. Booooo), we did get to compile your questions into another exciting edition of Ask Sentai. You know how this works. On the first Thursday of every month, we harvest your questions and our responses into one, consolidated blog post for your reading convenience. Got a question? Direct them to Sentai’s Ask.fm account. I would really love a Haikyu!! English dub! How would I go about showing you guys the momentum? The best place to start would be Twitter and Tumblr. Also, letting your friends/social circles know to stream Haikyu!! on legal anime streaming sites. If people stream from illegal anime streaming sites, we can't quantify those numbers to gauge overall interest. @Sentaifilmworks When will the rest be revealed? We started releasing Cross Ange: Rondo of Angel and Dragon cast reveal videos last week. The next one goes up this Thursday at Noon CST. Subscribe to our YouTube channel to get notifications every time we add a new video. Are you going to be at Anime Central this year? YES YES YES! We're totally going to be at ACEN this year in front of the doors at Booth I-37. You can't miss us. I’m probably the only one asking this, but I think Ushio &Tora would make a great show for Toonami. You are NOT the only person asking for this actually. You and a bunch of other Toonami fans have been saying Ushio & Tora would be a good match for Toonami, so please feel free to tell THEM your thoughts. :) Here is their Facebook (https://www.facebook.com/Toonami) and here is their Tumblr (http://toonami.tumblr.com). Remember that your voices are powerful! Any news on when to expect The Legend of the Galactic Heroes? Very excited for this release. You can expect The Legend of the Galactic Heroes... sometime in the future. In a time that is neither right now, nor before now, but some time in the now that is not the immediate now. We thank you for your excitement, but still nothing to report at this time. At this now. 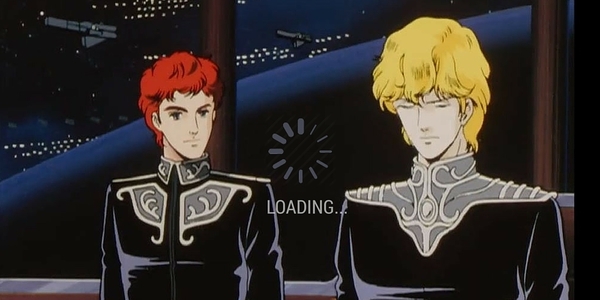 What’s the progress so far on LOGH? It is progressing in a way that only a work in progress can progress. Please can we get an Amagi Brilliant Park CE? The word "please" is powerful, but we can make no promises. It's nice to know that you guys really want one, though! 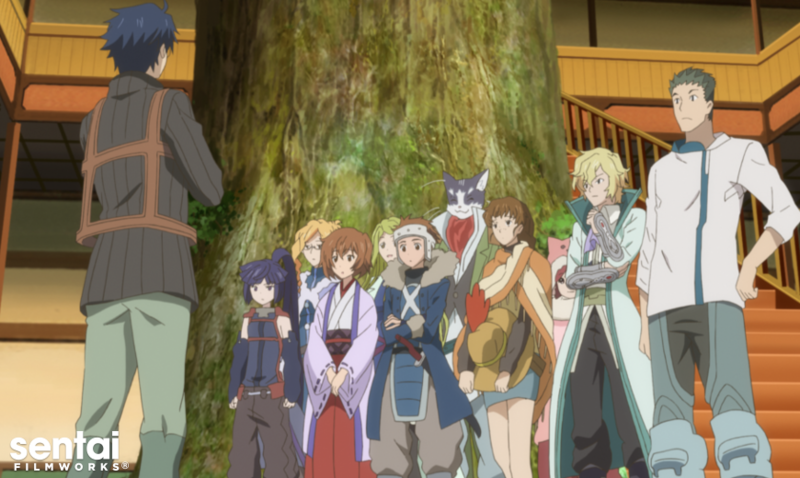 Any update on when Log Horizon season 2 will be getting a dub? Can you explain how your dubbing process works? Like, do you work in-house, do you have a pool of directors and actors with good relationships to Sentai that you consider first, etc. The long and short of it is that we dub in-house at the Sentai Filmworks studio. We also have in-house directors, but our actors are contract, professional actors from around the country. Hello Sentai Filmworks, really not trying to harass you guys on this because I know you guys probably get this question a lot, but will there be a Gekkan Shojo Nozaki-Kun Season 2??? It's killing me! It's such an amazing show! Trust us. Nothing would make us happier than more Nozaki-kun. That show was WAAAAAY too much fun, but right now, it's all up to Japan. It is a common misconception that Sentai Filmworks has anything to do with the production of anime. We are a licensor, not a production company, hence we have NO SAY in the creation of second seasons. Let's all just cross our fingers and hope there will be more Nozaki in the future. If we don’t answer your questions, the most likely answer is because we’re not allowed to disclose that information at this time. However, feel free to keep sending your questions/suggestions to Sentai’s Ask.fm account. We’ll see you next month!